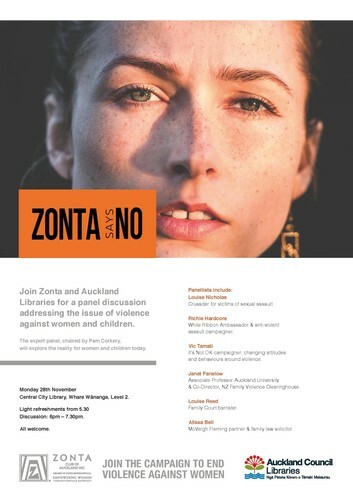 Join Zonta and the Auckland Libraries for a panel discussion addressing the issue of violence against women and children. The expert panel, chaired by Pam Corkery, will explore the reality for women and children today. Featuring Louise Nicholas, Richie Hadcore, Vic Tamati, Janet Fanslow, Louise Reed & Alissa Bell.